The ASILE Committee can confirm that the keynote speakers for the 2018 ASILE conference will be Dr Pudentia Maria Purenti Sri Sunarti (MPSS), MA, Dr Mark F Ellis AM and Mr Bagong Soebardjo. 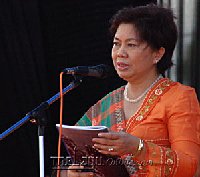 Dr Pudentia, born in Muntilan, Magelang on 8 May 1956, is a lecturer and researcher at the Faculty of Humanities (Fakultas Ilmu Pengetahuan Budaya) of Universitas Indonesia, Jakarta. She has her Bachelor of Arts and Master of Arts from Universitas Indonesia, and her PhD from Universiteit Leiden and The University of California Berkeley. As the Chair of the Asosiasi Tradisi Lisan (Association for Oral Traditions), she is a champion of the preservation of the archipelago's oral traditions. She has also served as a member of the Eminent Persons Group for Indonesia and Malaysia under the Yudhoyono Presidency and on the expert panel for UNESCO's Memory of the World program. We express our thanks to Dr Pudentia for agreeing to join us in Melbourne for ASILE 2018. 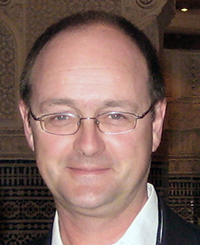 Dr Mark F Ellis AM has two Fellowships in Ophthalmology (FRANZCO and FRACS). He is a member of The American Society of Cataract and Refractive Surgery (ASCRS) and a founding member of The Australasian Society of Cataract and Refractive Surgery (AUSCRS). His main interests are in anterior segment surgery and particularly cataract and glaucoma. Mark has been involved in International Ophthalmology as a team leader for the East Timor Eye Program (ETEP) since 2004. He co-founded (in 2007) and is the current Director of the Sumba Eye Program (SEP) in Sumba, Nusa Tenggara. The Sumba Eye Program is dedicated to training the local nursing staff in eye health and working in cooperation with Indonesian Ophthalmologists. In 2012 he received a Certificate of Appreciation for his work in Sumba from the Indonesian Consulate. In 2013, he was awarded Member of the Order of Australia for significance to medicine in the field of Ophthalmology and to Eye Health in Indonesia and Timor Leste. Dr Ellis has worked in the local community as a Glenferrie Rotarian since 2006, and has been on board as the International Chairman. We express our thanks to Dr Ellis for agreeing to join us in Melbourne for ASILE 2018. Bagong Soebardjo (b. 1957) is a storyteller, writer-illustrator of children’s stories, and puppet maker from Yogyakarta, Indonesia. He graduated in Painting from the Indonesian Art Academy (ASRI) in Yogyakarta, and studied Science at the Sanata Dharma Institute of Teacher Training and Education (IKIP) in Yogyakarta. 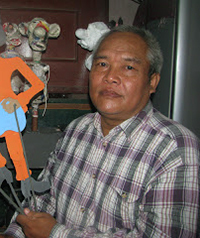 He is known as an innovator in wayang and other puppet traditions. He creates his own puppets from a variety of materials. He also provides workshops about the creation and use of puppets for storytelling. Several of his puppet stories have been adapted for film. We express our thanks to Mr Soebardjo for agreeing to join us in Melbourne for ASILE 2018.